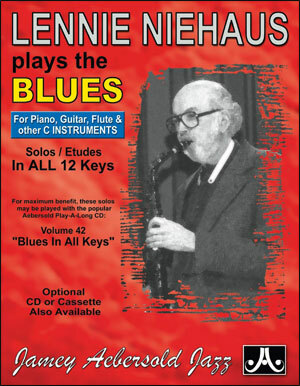 PLAY THE BLUES IN ALL 12 KEYS! Transposed all Bb instruments. 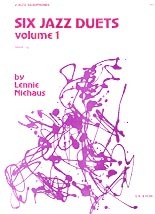 Intermediate level. 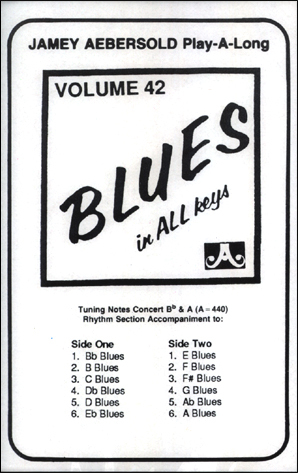 These hip, swinging etudes in the swing/bop style are a great source for blues and bebop licks and fun to play! 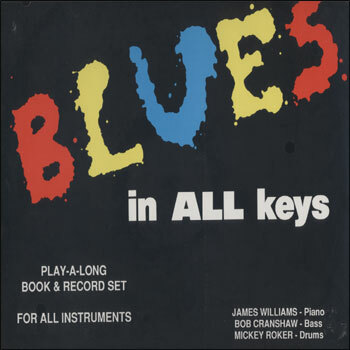 Lennie wrote these specifically to be played with the tracks from Jamey's Vol.42 "Blues In All Keys." 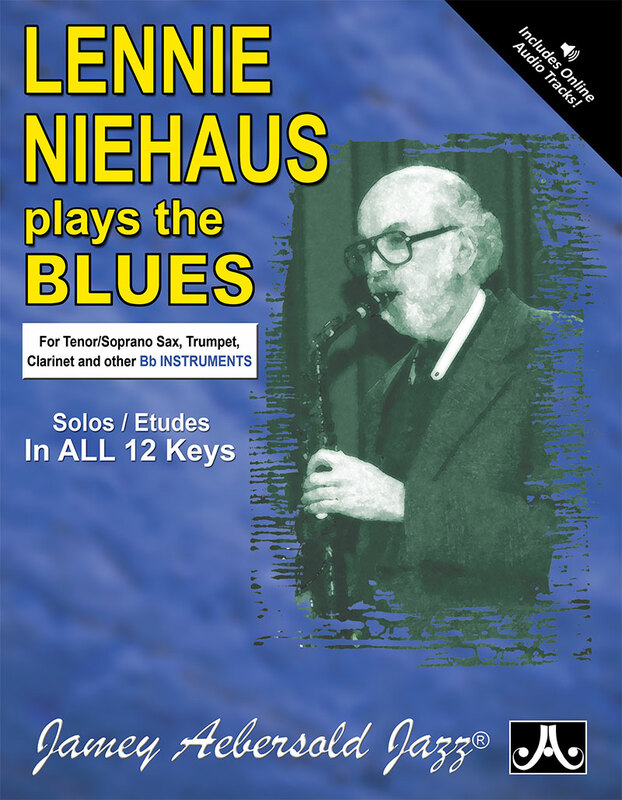 There is one complete solo (etude) for each of the 12 keys and 12 tracks. 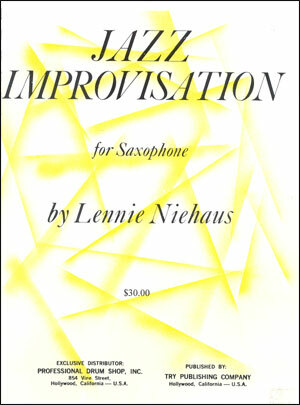 This book of solos is also great jazz sight reading material, since it contains all of the most-used jazz rhythms and syncopation you'll ever encounter. 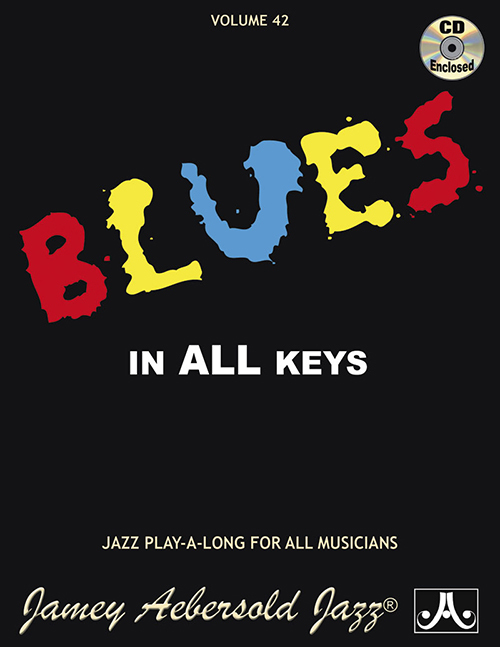 Perfect for Learning your way around The Blues - even in the tough keys! 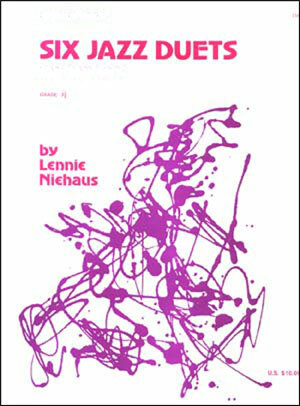 Students and teachers alike will enjoy playing these musical, lyrical jazz solos with or without the exhilarating accompaniment of the Vol. 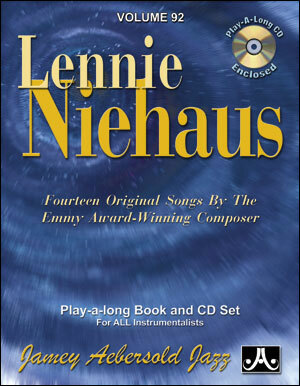 42 Play-A-Long. 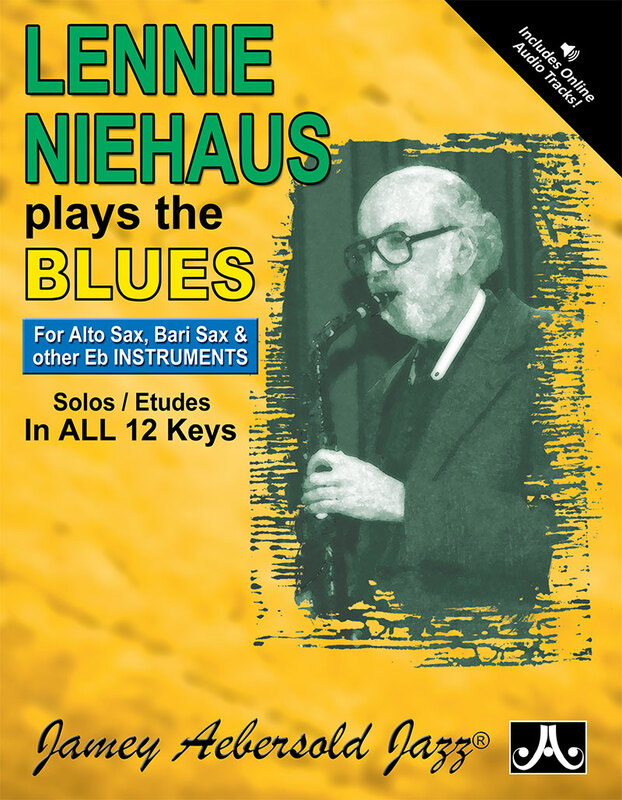 The CD incudes complete performances of each solo by Lennie with a piano, bass, drum rhythm section (from the Volume 42 "Blues In All Keys" Play-a-long)so that you can absorb and internalize proper jazz sound and feel.